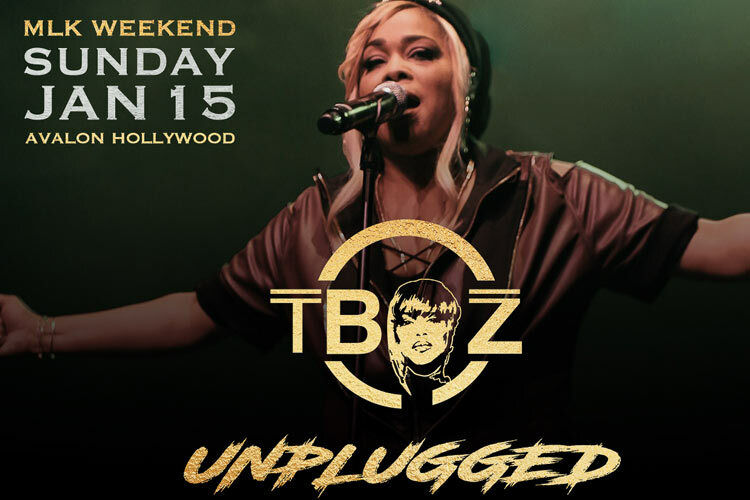 Tionne “T-Boz” Watkins from the hit musical group TLC has officially announced her third Annual T-Boz Unplugged on Sunday January 15th over Martin Luther King (MLK) Weekend. The benefit concert will support The MLK Sickle Cell Outreach Center of Los Angeles and The Sickle Cell Support Group of Atlanta. With T-Boz Unplugged slated over MLK Weekend, Watkins will be speaking about sickle cell disease in the Los Angeles community. The benefit concert includes performances by hip hop artists Naughty by Nature, DaBrat and more special musical guests to be announced over the holidays. The five-time Grammy Award winning star is currently starring on the popular long time running soap opera “Days of Our Lives.” Watkins recently made a memorable appearance on FOX’s White Hot Holidays Special hosted by Taraji P. Henson alongside Missy Elliot and fellow TLC Member Chili. Tionne Watkins known as T-Boz, is an American-born singer, songwriter, model, dancer, actress, author, and executive producer. At the age of 7, Watkins was diagnosed with sickle cell disease and continues to receive treatment due to her condition. A true talent and fighter she was the lead singer of the 5-Time Grammy Award Winning R&B/Hip Hop girl-group TLC. The group became a global phenomenon and remain one of the most successful girl groups in history with over 65 million records sold worldwide. Watkins went public with her struggle with sickle cell anemia in 1996 and later became one of the spokespersons for Sickle Cell Disease Association of America. In 2002, she was hospitalized for four months due to a flare-up of sickle-cell anemia. Watkins’ faith in God and her optimism have helped her stay free from the more serious effects of sickle-cell disease. Play Golf Designs, Inc. (PGD Global) is a golf marketing & event company, directing, producing and participating in lifestyle and sports events for some of the world’s most legendary athletes, entertainers and organizations including Coach Mike Woodson, Julius Erving, Jeffrey Osborne, The Broadcasters Foundation of America, Reggie Jackson, Chris Tucker, Ahmad Rashad and more. PGD blends pop culture and entertainment, creating the most unique, innovative golf events and experiences for each client. PGD Global focuses on celebrating inclusion in golf while comfortably welcoming women to the game with open arms. Specializing in connecting golf, music and lifestyle to the modern world of trends and fashion, PGD Global operates interactive events and creative experiences all around the country.